Our research projects are focusing on the creation of new compounds involving heavier main group elements such as Si, Ge, Sn, P, and B to discover the unique structural characteristics and electronic properties that can be applied as new functional materials for the next generation. 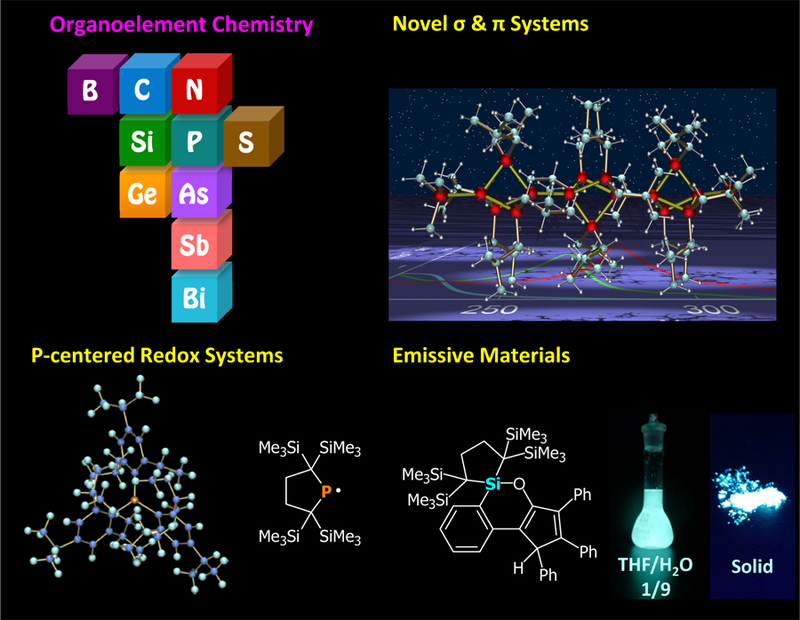 Recent progress in our group includes the development of unique silicon-based σ and π-electron systems, functional organosilicon π-electron compounds, isolable dicoordinate group-15 element radicals, and triarylphosphine-based redox systems. In our laboratory, we are aiming to build the systematic view in bonding, structure, reactions, and properties covering the chemistry of all main group elements.